How Many Transmission Speeds Do You Need? 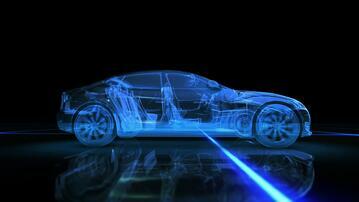 Today's transmission market is full of emerging technologies and new developments. As transmission features and components become more advanced, one development stands at the front of most automatic transmission tech debates: what is the optimal number of gears? Manufacturers have introduced an entirely new world of transmission applications with nine, ten, or more gears, not to mention continuous, unlimited gear ratio units as well. But how should drivers know what they really need, and how do these multiple speed units impact the future of automatic transmissions? In this post, we'll explain the advantages a higher number of gears can potentially provide and discuss some industry opinions to determine how many transmission speeds you actually need. 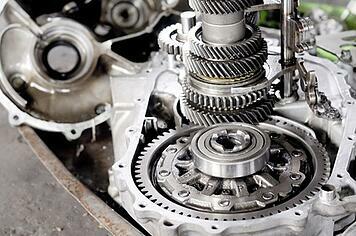 In short, the more gears a transmission has, the closer the engine can remain to where it produces the most power. While more traditional automatic units featured only three to five gears, the addition of several more gears gives modern units a more sophisticated public image. But besides impressive specs, more gears are often developed out of concern for reliability and efficiency. 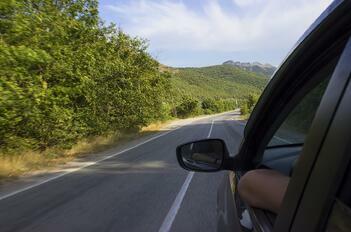 In applications with fewer gears, engines run at a higher RPM, working harder and burning more fuel. With more gears, an engine can work less at the same speed because it's closer to its optimal point. How Many Speeds Do We Actually Need? While we can recognize the potential advantages and benefits of a transmission with more speeds, the big questions remains: how many speeds do we actually need? At what point do more gears become an unnecessary complexity rather than a useful development? While the truth is that there is no concrete answer from the industry yet, multiple automakers are weighing in on the debate. Today, the maximum amount of gears in automatic transmissions hovers around ten, though even more speeds may still be in development. Additionally, CVT technology uses ratios instead of set gears in order to promise an unlimited number of gears and the ability to create the perfect gear for any driving conditions. Although these technologies have only captured a percentage of market share, we're seeing more of them than ever on the assembly lines and on the road today. There seems to be some agreement among manufacturers that there may be a point at which more gears no longer provide added benefits to drivers or the industry. Representatives from Ford and GM each believe that their nine- and ten-speed transmissions are right in the sweet spot. Ford representative Kevin Norris, however, said that Ford has found that a transmission with eleven or twelve gears may present architectural issues that outweigh any further benefits they could provide. Mark Champine, director of transmission and driveline quality at Fiat Chrysler, also believes that the benefits of more gears may level out around ten. However, Honda may be moving forward with an eleven-speed model which uses three clutches in order to quickly skip gears when shifting and provide ratios that could rival CVTs. What's most important to remember about the number of speeds in a transmission is that these applications are still relatively new to the market. In order to truly understand what the implications of more gears mean, we need to continue testing and learning more about how these units work. Moving forward, future applications may find even more helpful and interesting uses for more gears in special conditions or more advanced vehicles we've yet to see.